There is growing interest in investigating the mechanisms of action of selective serotonin reuptake inhibitors (SSRIs), beyond their association with the serotonergic system, due to their wide therapeutic potential for disorders including depression, pain and addiction. The aim of this study was to investigate whether chronic treatment with the SSRI, citalopram, alters the functional coupling of Gi/o-associated cannabinoid type 1 (CB1) and μ-opioid receptors in selected areas of rat brain implicated in psychiatric disorders and pain. Using an autoradiographic approach, the effects of the cannabinoid receptor agonist, HU210 (in the presence or absence of the CB1 receptor antagonist AM251), or the μ-opioid receptor agonist, [d-Ala2,N–Me–Phe4,Gly5-ol]-enkephalin (DAMGO; in the presence or absence of the μ-opioid receptor antagonist d-Phe–Cys–Tyr-d-Trp–Orn–Thr–Pen–Thr–NH2), on [35S]GTPγS binding in discrete brain regions of citalopram-treated (10 mg kg−1 day−1 for 14 days by subcutaneous minipump) and control rats were investigated. 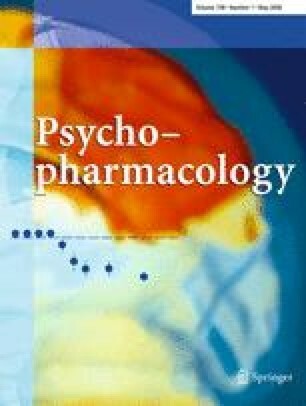 The HU210-induced increase in [35S]GTPγS binding observed in the hypothalamic paraventricular nucleus of control rats was abolished after chronic treatment with citalopram. Reduced response to HU210 in rats receiving chronic treatment with citalopram was also observed in the hippocampus and medial geniculate nucleus. Citalopram had no significant effect on DAMGO-induced [35S]GTPγS binding in the brain regions investigated, with the exception of the medial geniculate nucleus where a modest impairment was observed. These data provide evidence for reduced cannabinoid receptor-mediated G-protein coupling in the hypothalamus, hippocampus and medial geniculate nucleus of rats chronically treated with citalopram, effects which may, in part, underlie the mechanism of action of SSRIs. Hesketh and Brennan have contributed equally to this work. This work was supported by Science Foundation Ireland and by a Research Visit Grant to SH from the British Society for Neuroendocrinology. We are grateful to Lundbeck plc, Copenhagen, for their kind gift of citalopram.